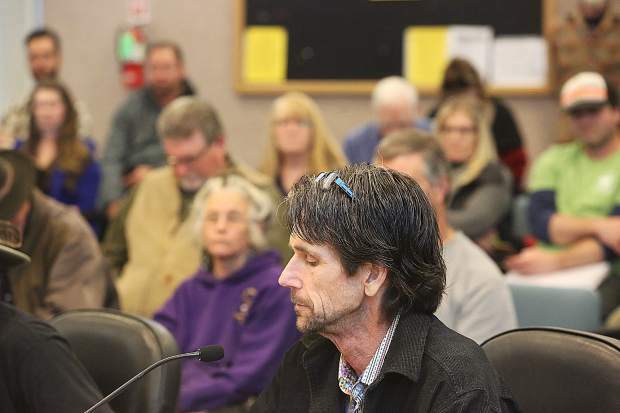 After approving an ordinance in June to allow commercial cannabis delivery in Truckee, the town council adopted criteria businesses must meet to obtain a delivery license. And, for now, Truckee will place no cap on the number of licenses distributed. A majority of the criteria is already included in the original ordinance. The list includes prohibiting a storefront and therefore keeping it closed to the public, consenting to a periodic site inspection, and requiring all businesses to implement security measures. However, security bars will not be allowed on the outside of the buildings. In addition, the licensing process will require medical cannabis delivery businesses to show the town sales and excise tax records. “We want to see that they’ve been paying taxes in whatever jurisdiction they’ve been operating in,” said Town Attorney Andrew Morris. The council decided not to require criminal history checks, a staff report says, as extensive discussions would have to follow on what types of conviction would prevent a business from getting a license. The regulations approved in June allow businesses to only deliver. However, each delivery service must have a fixed location to run operations, at which direct sales cannot take place. The businesses cannot exceed 3,000 square feet or have a retail storefront. They must maintain at least 600 feet of distance from schools, day care and youth centers and will be limited to areas zoned for manufacturing, downtown manufacturing, service commercial and general commercial. Businesses in the general commercial zone may not be located on a ground floor. In addition the town has the power to classify other sensitive areas in the future which businesses cannot be near, such as drug treatment centers. Each business is required to obtain a use permit from the town and must only deliver to physical addresses. 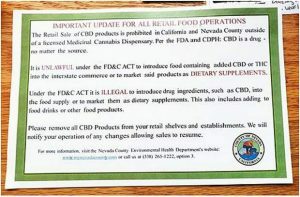 Delivery to a publicly owned place or building is prohibited. The town plans to adopt state safety requirements regarding disbursement of cannabis instead of creating their own. Hannah Jones is a reporter for the Sierra Sun. She can be reached at hjones@sierrasun.com or 503-550-2652.